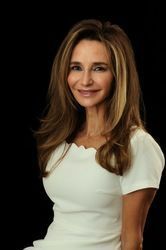 Dr. Elsa Raskin is a skilled board certified plastic surgeon with her own practice in Greenwich, Connecticut. In addition to plastic surgery, she is highly trained in general surgery and ophthalmology. Since earning her M.D. in Geneva, Switzerland and completing general surgery, plastic surgery and ophthalmology residencies in New York and Pittsburgh, she has been practicing for 17 years. Dr. Raskin focuses on women’s cosmetic surgery needs and employs an all-female staff to ensure your comfort. Greenwich Magazine named her a Top Doctor for her high standards and excellent care for the past 10 years. She has also earned membership in the American Society of Plastic Surgeons and the American Society for Aesthetics. To schedule a consultation with Dr. Raskin, contact our office today. Dr. Raskin is a Board Certified Plastic Surgeon who completed her Plastic Surgery training at New York Presbyterian Hospital and Pittsburgh University Medical Center. Dr. Raskin completed her General Surgery training at New York University and completed Ophthalmology at New York Eye and Ear Infirmary. In addition, she completed an Oculoplastic Fellowship at the University of Pennsylvania. She earned her MD degree from the University of Geneva Switzerland. Dr. Raskin has been practicing in New York and Greenwich since 2001. If you are considering plastic surgery, Dr. Raskin will meet with you for a comprehensive consultation. During this appointment, she will complete a comprehensive physical examination, discuss any pertinent health issues, and review photos of past patients so you know what to expect from your procedure. Dr. Raskin completes all consultations at our private office so you can feel comfortable openly discussing all of your questions or concerns. Dr. Raskin can perform face, breast, or body surgery, as well as a variety of nonsurgical procedures. She often designs customized treatment plans for patients, including a mommy makeover for new mothers whose bodies have changed due to pregnancy, breastfeeding, or childbirth. She is well-versed in many surgical techniques, including SmartLipo™ liposuction to sculpt your body, eyelid surgery to brighten your face, a chemical peel to smooth your skin, and breast reduction for a lighter, younger bosom, among others. Dr. Raskin’s first priority is helping her patients and ensuring they are satisfied with the results of their treatment. Many plastic surgery patients are concerned about their results looking unrealistic or exaggerated. Dr. Raskin uses her left hand and decades of experience to produce natural-looking results. She also provides many options to patients so that you can choose which materials or methods work best for you. For example, she offers silicone or saline breast implants, fat transfer for natural breast augmentation, and many brands of dermal fillers. When improving your appearance and health with plastic surgery, it is important to find a skilled, dedicated doctor. Dr. Raskin is an award-winning surgeon with a track record of success and a commitment to excellent care. Contact our office today to schedule an appointment with Dr. Raskin. 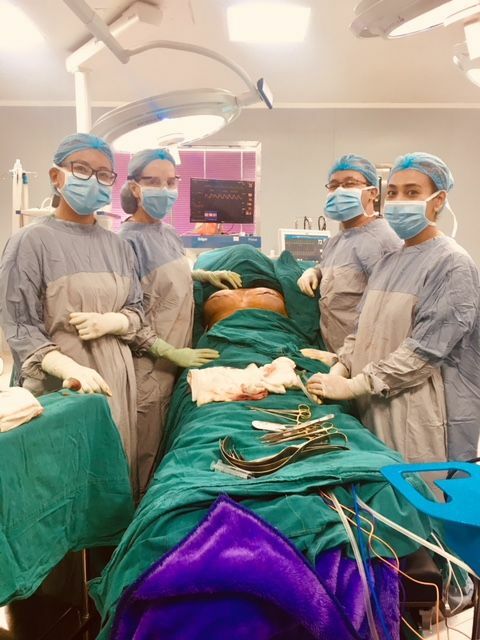 Dr. Elsa Raskin performed a medical missions trip to Nepal in August 2018 to teach recent techniques in breast reconstruction to Nepalese Doctors.